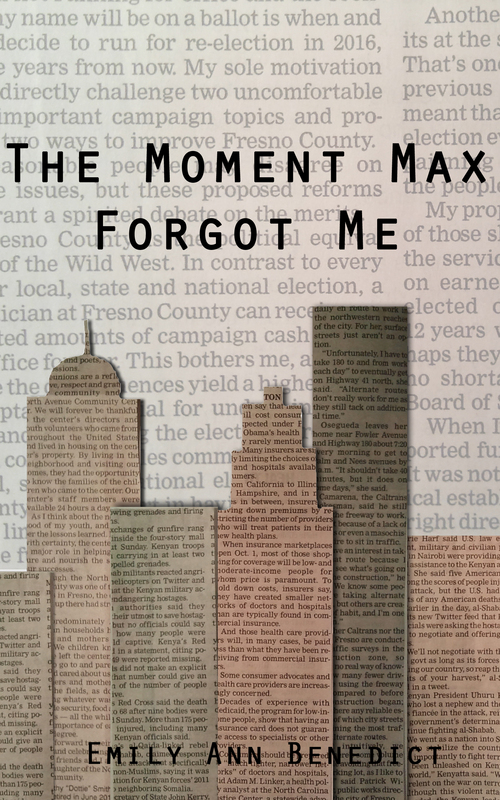 Last year I published my novella, The Moment Max Forgot Me, packaged with the release of my Newsletter. I planned on talking about it at some point, but Christmas got out of hand when my dad broke his ankle and spent most of November and December unable to walk. Word to the wise: if you ever help someone push their car just remember, even a dead car is heavy enough to break bone. Anyway, I never really got a chance to talk about this little book. It is actually my favorite of everything I’ve written. I can’t quite explain why. In some ways it was a subconscious book for me. I wrote it at a rapid pace and found after the fact that a number of themes had surfaced in the story that I didn’t originally intend to intertwine. I somehow also wrote it in an almost Film Noir style. I guess I must have been watching a lot of Noir movies at the time. The story is part comedy, part drama with some mystery mixed in. In other words, its genre is hard to pin down. So, without a genre to really assign it to, it felt like a good fit for a promotional book. And such it will remain. Click here to sign up for my newsletter and receive the link to download your free copy. It is available in a number of formats, so no matter what type of device you read off, you should be able to get a download. The end of a murder trial is never the end of the story. Maddy Mckenzie was nothing more than a street smart eighteen year old girl when up and coming defense attorney Peter “Max” Maxwell gave her a chance. Now, ten years later he couldn’t ask for a better or more devoted legal assistant. No amount of order and control, however, can save Max from a victim’s family seeking their own brand of justice. Within a moment, the Max Maddy thought she knew is stripped away, leaving behind a man who wants a life she can’t even imagine. The moment Max forgot her might just be Maddy’s only chance at a real life, if she can remember who she once was. < Previous Recommending a book that you can’t actually recommend. I felt The Moment Max Forgot Me was one of your best works, so it’s interesting to hear it’s also your favorite. Sometimes if we don’t think as much as usual while writing, the results are intriguing! I’m doing that with the MP retelling at the moment.